My boys had a karate tournament, so I knew we were going to have a long day. So I thought I'd make them a hearty breakfast before we set out for the day. My 7 year old asked for scrambled eggs. Now, I've beaten up eggs before and fried them, but I thought I'd look up a recipe and try something new. 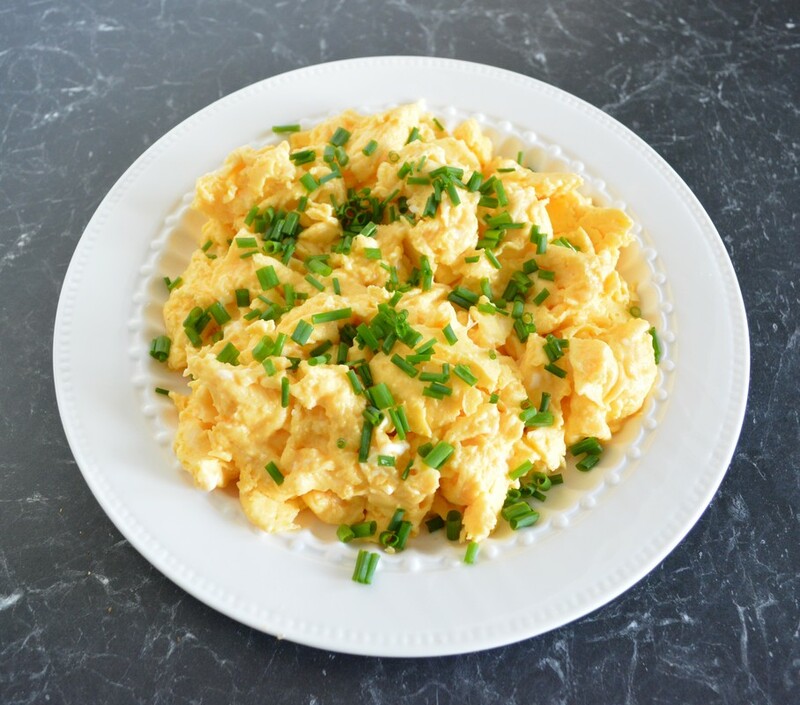 Well am I glad I did, these were perfect, light, fluffy, every bite was amazing, this is how I will make scrambled eggs from now on, WOW! The addition of cream to the eggs, brilliant. I loved it! Place the eggs into a bowl, lightly whisk them. Add the cream, season with salt and pepper, whisk until the cream is mixed in well. Melt butter in a medium sized frying pan over medium heat. Pour the eggs into the frying pan. Using a plastic egg flip, wooden spoon or spatula, instead of stirring the eggs, push the eggs from the side of the frying pan, gently into the centre, move around the pan doing this continually, for 2 minutes. You will see the set egg rising up as you push the eggs around the pan. Remove from heat, serve immediately with toasted bread and chives.